How to start a YouTube channel in 2018 ~ Elan Creative Co.
A few weeks ago, I wrote a post about YouTube and I’m glad that so many of you want to start a YouTube channel in 2018. 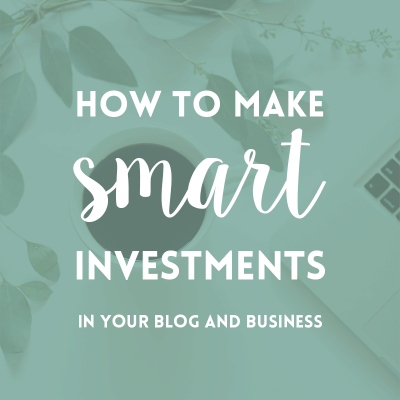 As video content is becoming more and more important in the blogging and the creative business world, it’s important to keep up with this trend if you want your business to grow. 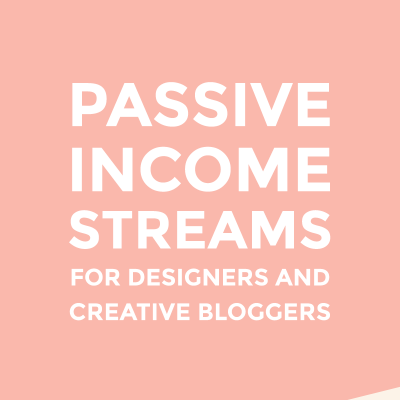 My YouTube channel, that’s not even a year old, has become a huge part of my content marketing strategy and it’s even helping me to create new products. 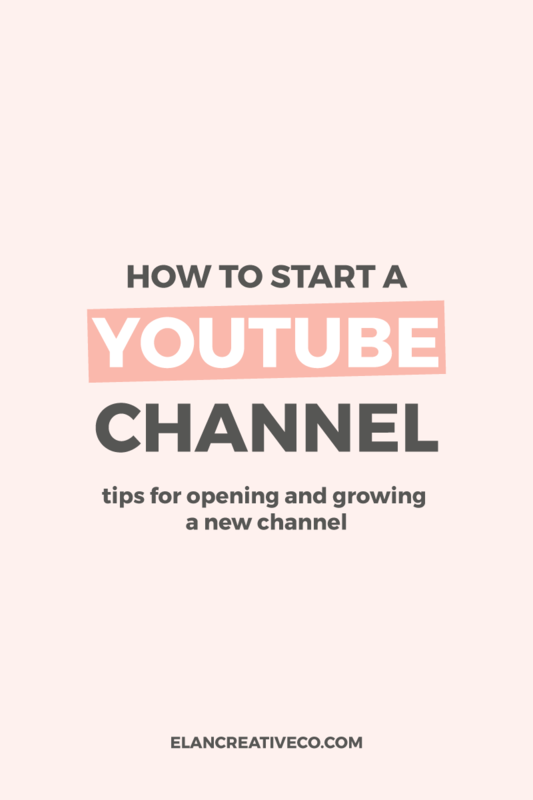 So I want to share with you a few tips for starting and growing your YouTube channel. To start a YouTube channel, all you need is a Google account. Then go to YouTube and create a new channel. You will have to name your channel (you can use your name or the name of your business) and agree to the terms. The channel icon can be an image of your logo or a picture of yourself. This image will appear on your channel, on the video pages next to your name, and in the comments. The channel art is the large banner that appears on your channel. I admit I was a bit lazy and just uploaded one of my patterns. You can use this space to add an image that’s consistent with your branding and customize it with info about your videos and your posting schedule. The button that helps you upload a new banner, also lets you customize links. You can add links to your website, shops, social media channels, or even to your newsletter. The About page will let you tell your viewers a little bit about yourself. This is your opportunity to talk about your business and what they should expect from your channel. Don’t forget to add links to your website and social media, and you can even add your email address if you want to receive business inquiries. I know it might seem like you are sending people to another channel, but it will help you. If you turn this feature off, you will also remove your channel from YouTube recommendations. But if your related channels list is turned on, your channel will appear on other channels. YouTube recommendations are based on the what channels are watched by your users and the topics of your videos. If you want to start a YouTube channel this year, you have to focus on the quality of your content. That means it has to look good, sound good, and provide valuable information to your audience. But it doesn’t mean you have to be a professional movie maker to succeed. With time, you will learn what your audience likes and your videos will improve. It’s important to keep creating even if your first videos are not that popular. My most popular video is the third or fourth video I uploaded. It’s far from perfect and I wish I could take it down and edit it. But people still love it because the content is good and it helps them. Gone are the days of dark, grainy videos with bad sound. To stand out on YouTube, you need videos that look good. You don’t have to invest in the most expensive camera or microphone. There are many videos on YouTube that teach you how to create good quality videos if you are on a budget. You can use your smartphone or invest in a good webcam. A good microphone is also a must, but you can find many good ones on Amazon even if you have a smaller budget. The most expensive thing I bought was a Blue Snowball microphone. I really love it! Two other apps I use are Screencast-o-Matic to record videos and Adobe Premiere for editing. Screencast-o-Matic is perfect if you want to record screen sharing videos and it even has a pretty good video editor for only $18/year. Once you have the video, it’s time to upload it to YouTube. Don’t just publish it and forget about it. Optimizing videos for search will help them rank high on YouTube and on Google. You can optimize your title, description, and tags. title: this is the first thing that users see so you have to add a catchy title that also has the keywords you want to rank for. description: the video description should also include the keywords. 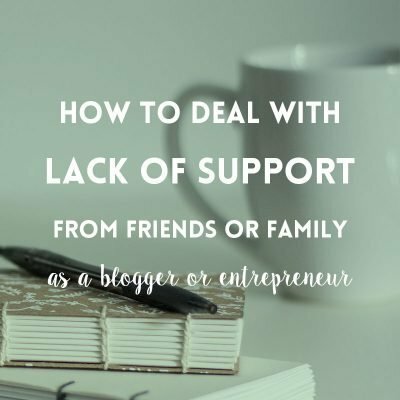 It doesn’t have to be very long because most users won’t read everything, but you can add links to your blog and social media, and the products you used in the video. tags: they are important for YouTube so you need to add as many relevant tags as you can. You can use something like TubeBuddy to come up with tags or even use the search bar to find out what YouTubers are searching for. Along with the title, the thumbnail is the first thing a new viewer sees. So you need thumbnails that are clean, attractive, and relevant to your brand. Something else to remember, people are drawn to visible human eyes. So a close up of your face is more effective than a photo in which your face is not showing. If you want to grow your channel faster, you should post at least two or three times per week. Of course, it’s a lot of work, so if you don’t have time try to post at least once a week. For the first six months, I posted once a week, but I decided to start posting every two weeks at the beginning of this year. Use your social media channels and your blog to send people to your YouTube channel. This will help you get more views and subscribers and grow your channel faster. One of the things I like most about YouTube is that it’s also a social media platform. People that use it are more likely to leaves comments on your videos than on your blog. Always reply to comments even if it’s just to say thank you. They will be more likely to subscribe to your channel if you listen to them and they might even become your clients. Your viewers and subscribers might also help you improve your videos and tell you more about the type of content they want to see. People often forget about subtitles, but they can also increase your views and help you rank higher in searches. Although SEO is not the most important reason why you should have captions. They actually help you reach a wider audience. About 5% of the world’s population has some degree of hearing loss. Closed captions help those people view and understand your videos. Closed captions also help those that are not native English speakers, and they let people watch your videos without turning on the sound. YouTube automatically adds captions and they are pretty good. So you don’t have to transcribe your videos. You can edit the ones YouTube adds and just fix the mistakes. Adding related content at the end of your videos or cards that lead to other videos will help you get more views. You can choose the most relevant videos or let YouTube generate videos based on your audience’s viewing history. Repurposing old content helped me get my first views and subscribers. If you have a blog or if you often go live on Facebook, you can use that content to create YouTube videos. Turning old blog posts into videos will help you create them faster and you can send your readers to your YouTube channel. You can also add videos to old blog posts and update them. This will help you rank higher in Google searches. I also recommend using parts of your YouTube videos or time-lapse videos on Facebook and Instagram and sending your followers to your new YouTube channel. Just like blogging, creating and promoting your video content takes a lot of time. It’s not a get rich quick scheme. It’s easy to get discouraged if you spend a lot of time on your videos and nobody watches them, and many vloggers quit after only a few months. There’s no secret formula for growing your channel fast. Or if it really exists, I don’t know it. It’s important to create quality content. Content that appeals to your audience and helps them. This way they will subscribe to your channel, engage with you, and come back to view more videos. Do you want to start a YouTube channel this year? 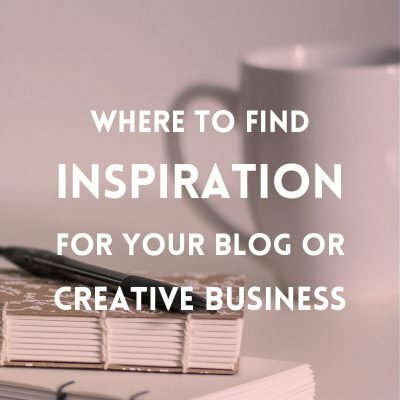 I just want to say you are probably my favorite place for information about blogging. You have helped me more with this and other posts that some ebooks I have paid for. Thank you for writing such good content! Thank you so much for your comment, Heather! I’m glad you like them and find them helpful. Thanks, Misty! Yes, I think your vlog could be successful. There are many people on YouTube who only have vlogs. I do recommend having a blog and a vlog, even if it’s just for sharing your videos. People will have an easier time finding you that way.